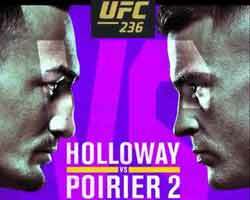 Review by AllTheBestFights.com: 2015-06-06, pretty good fight between Dustin Poirier and Yancy Medeiros: it gets three stars (UFC Performance of the Night). Dustin Poirier entered this fight with a mma record of 17-4-0 (82% finishing rate) and he is ranked as the No.25 lightweight in the world. He lost to Conor McGregor in 2014 (=Poirier vs McGregor) but he came back to win in 2015 beating Carlos Diego Ferreira (=Poirier vs Ferreira). His opponent, Yancy Medeiros, has an official record of 11-2-0 (82% finishing rate) and he entered as the No.80 in the same weight class. He lost in 2014 as well, but against Jim Miller (=Miller vs Medeiros), and then he has won over Damon Jackson (=Jackson vs Medeiros) and Joe Proctor (=Proctor vs Medeiros). 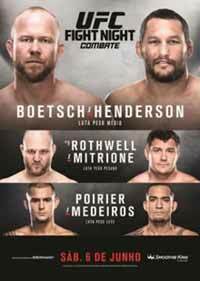 Poirier vs Medeiros is on the undercard of Tim Boetsch vs Dan Henderson – UFC Fight Night 68. Watch the video and rate this fight!